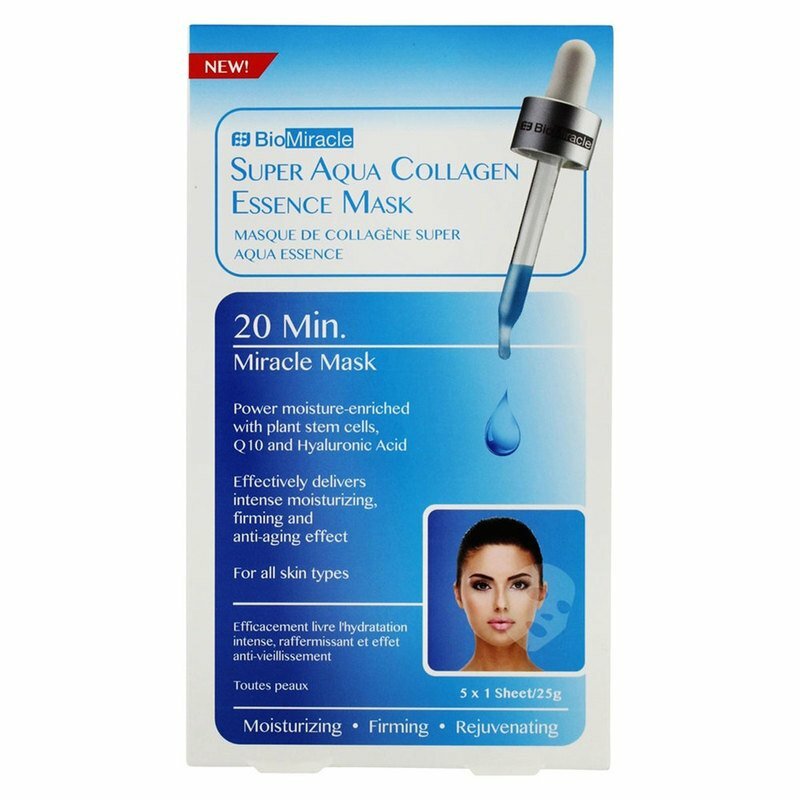 Super Aqua Collagen Mask delivers intense hydration, firming and helps rejuvenate the skin. Moisture enriched with plant stem cell, Q10 Collagen Hyaluronic Acid to help improve your skin to a more youthful appearance. This anti-aging formula with new innovative cupro sheet mask will increase absorption to help hydrate the skin, firm and increase elasticity.